Everyone needs some idea “prodding” around this time of the year. If you don’t think one of the amazing items in these lists is the exact right one for your friend or relative, they should at least trigger some great ideas! Sometimes all you have is a burner and a yearning for pizza. 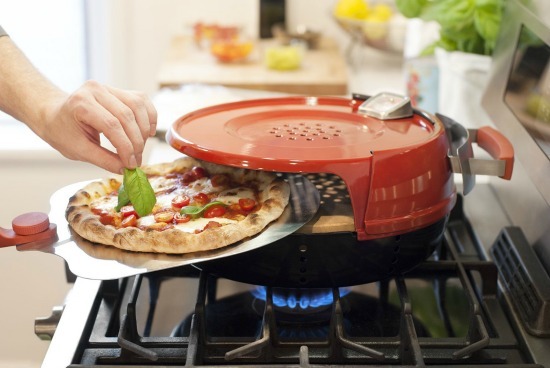 Now you don’t have to just yearn – you can have pizza with this stovetop pizza oven. We ordered one of these as soon as we saw them. A full sized pie is just too much temptation for many of us. 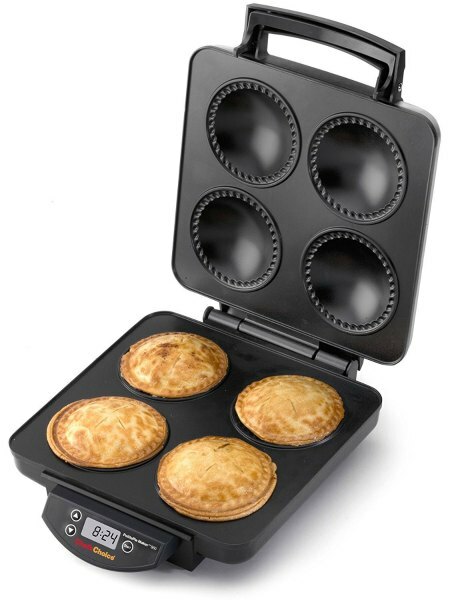 With a mini pie maker, we can make from one to four small pies (about 3 inches across each). We can share one or have one each and then – no more pie that calls to us in the middle of the night. Ever have one of those meals when the family is a little cranky because dinner was a little late and a fight breaks out because someone got a piece of cake that was bigger than someone else’s piece? No? That’s just us? 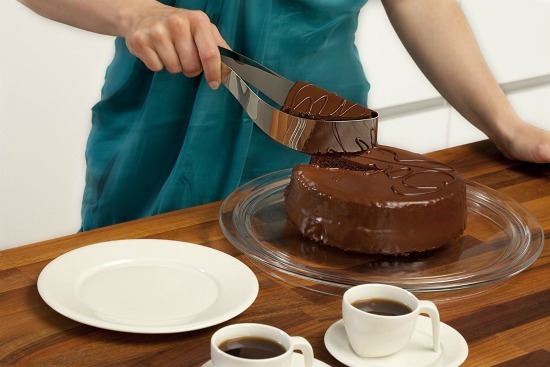 Well, anyway, a cake slicer solved this issue. Now all the pieces are the exact same size. 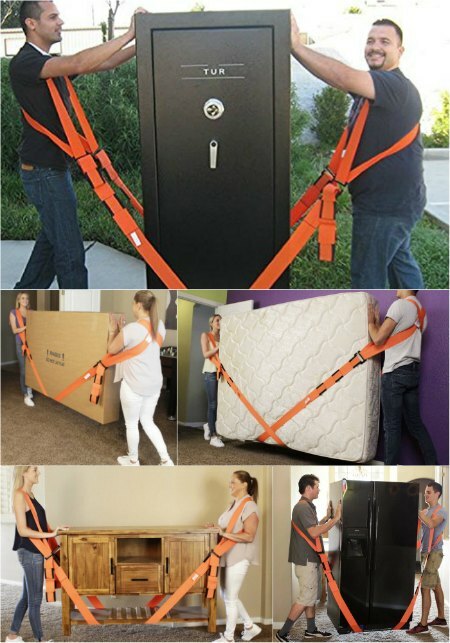 If using these moving straps to move heavy stuff around makes a person as happy as the people in these photos, we probably all need a set. These are actually great, as they transfer the weight of the object being moved from the arms and shoulders to the back and legs, but while the back is in a more normal position, thus taking most of the strain off. If you know anyone that moves awkward or heavy stuff around, a pair of these would surely be appreciated. These large scrabble tiles come with a hanger on the back and can be ordered in custom colors. Read some of the review and you’ll start wondering where you can hang up several around your house. 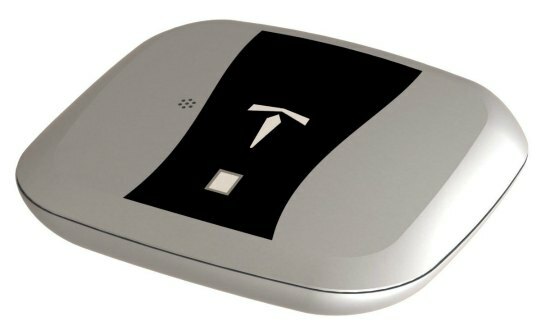 A biometric hand gun safe is great because only one person can get it open. Keeps your firearm (or other items) safe until the person with the correct fingerprint tries to open it. This model can also be programmed to open with an RFID chip. 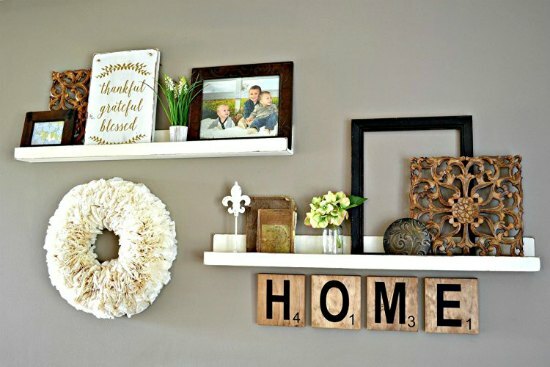 These are totally cool and even if you only get one of these rustic tin letters, they’d really make an impression in your house or, if you order numbers, as your address on the outside of your house. How about giving a gift that keeps on giving? A plate – exactly like this one – can be given through generations. 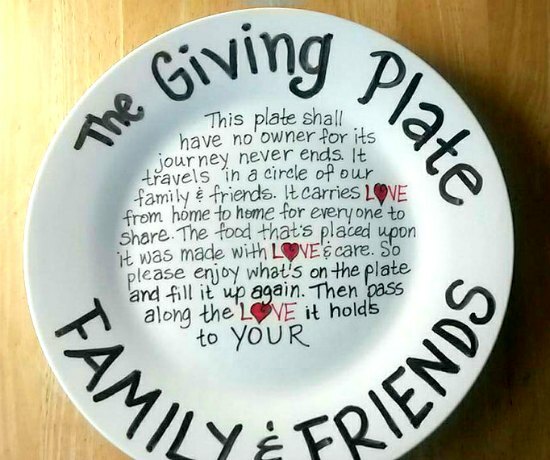 The giving plate comes in a variety of styles and makes a great gift for anyone. An homage to the mason jar, these measuring cups and measuring spoons are a functional addition to any kitchen. 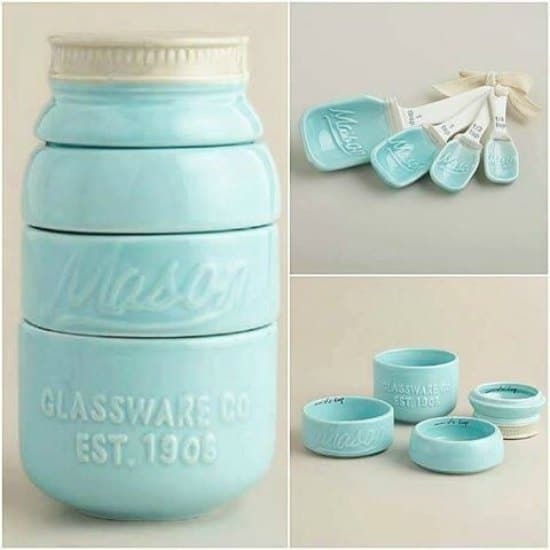 When “assembled” the set is about the size of an actual mason jar and even looks cool on the counter. No matter how thick and plush your bathroom rug is to your feet, it doesn’t feel very comfy to your knees after only about a minute. Take at least some of the pain out of assisted bath time with this bath kneeler pad and storage unit. Can’t you just imagine yourself in this double chase rocker on the beach, the waves making a constant and rhythmic noise? The birds chirping in the background? 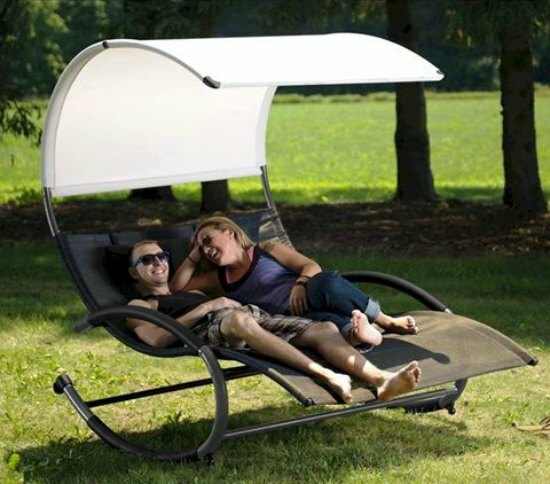 Well, just set this up in your back yard with a good recording of the beach or forest and you’re all set for a great afternoon nap! Not everyone lives in an area where an open fire in the back yard is permitted. Even when it is permitted, it’s not always a good idea. 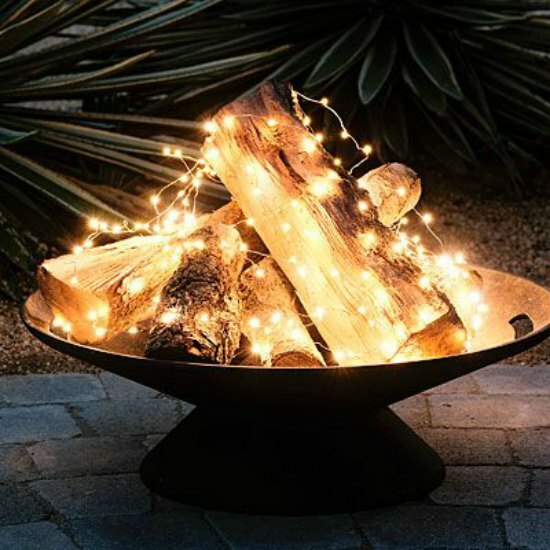 Get the same feeling with these fire lights in a fire bowl without any of the smoke, fire department, or ashes to clean up. 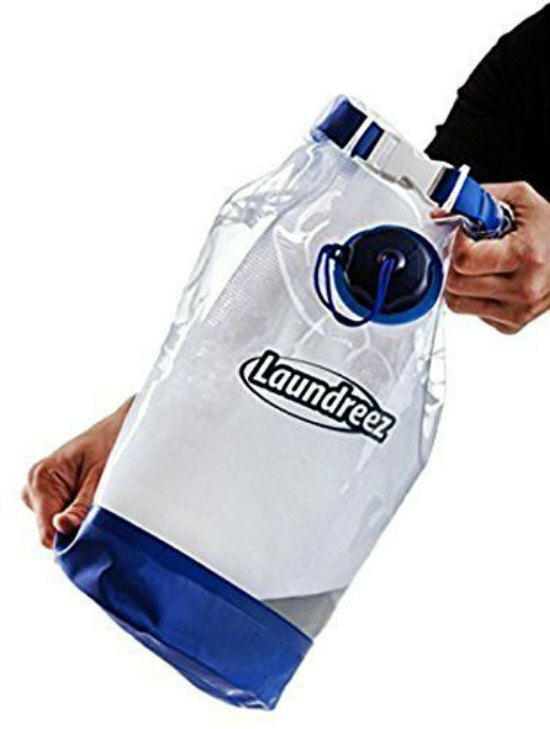 Whether you’re camping or just haven’t gotten around to getting a washer yet, this Laundreeze portable clothes washer will work to keep your clothes clean. Now you can have quality music in any room where you currently have a light. 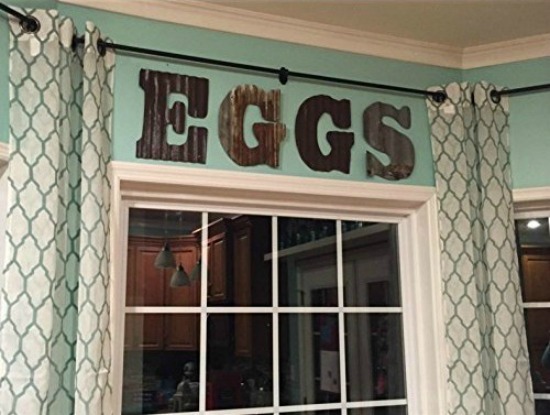 It doesn’t even need to be a ceiling fixture as shown in the photo. 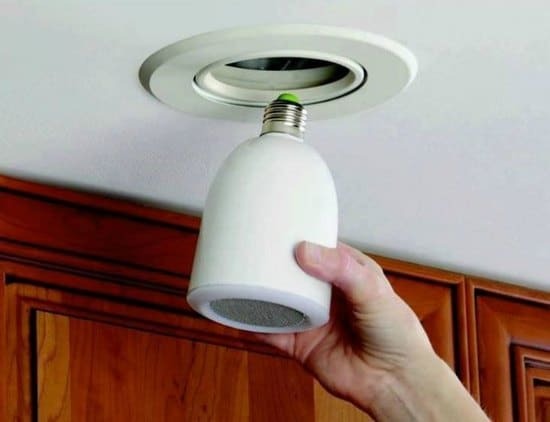 Just remove the existing bulb and screw in the LED bulb with an integrated bluetooth speaker. No wiring needed! If you are someone or know someone that works mostly alone, this Tri-Vise is a great addition to your tool box. It allows a board to be inserted through the various holes (depending on the size of the board or lumber) then uses the fixture itself to hold the lumber in place while you saw, hammer, drill, etc. If you want to see it in action, hop over to YouTube and watch the company’s demonstration video. If you know a kid who needs a fort, pirate ship, space ship, etc. but has really limited room for such a thing, this might be the answer. 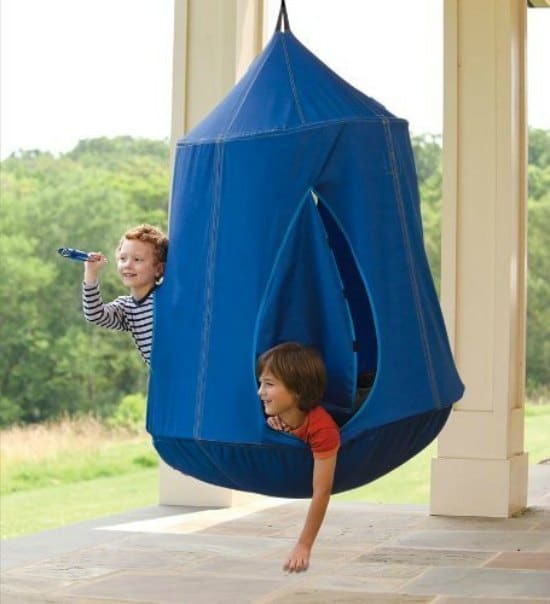 Just hang the HugglePod HangOut and a child’s imagination can do the rest. Have you ever seen a kid play with a couple of small cars for hours – just driving them around in the air? It’s about time that kid had a road for those cars with this play road tape! 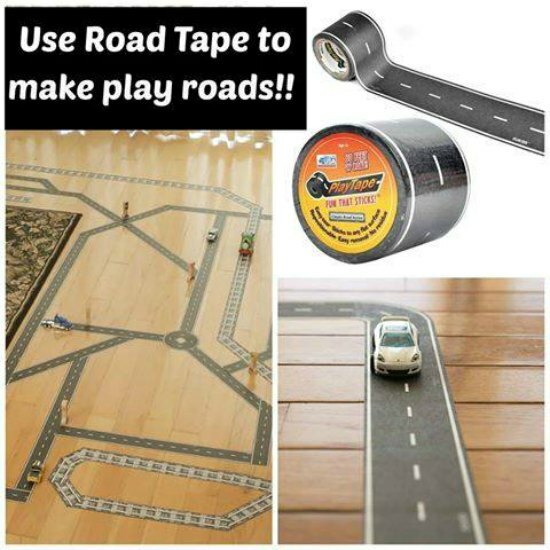 Instant roads for hours of play and the tape can be removed (without leaving a residue) and reused. Can you say tiny traffic jam? What little person, you have always treated like royalty, would not like to have their own castle? 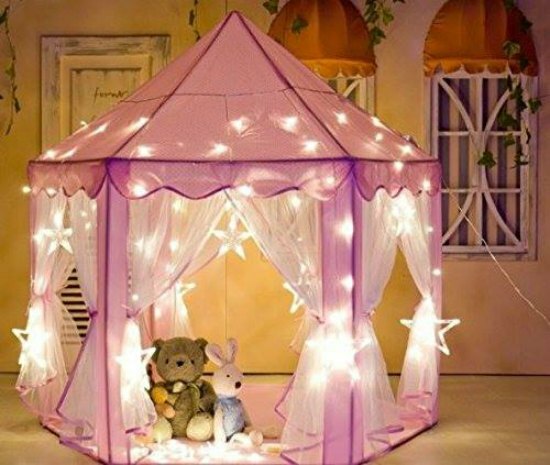 Well, now they can with this indoor light up castle. 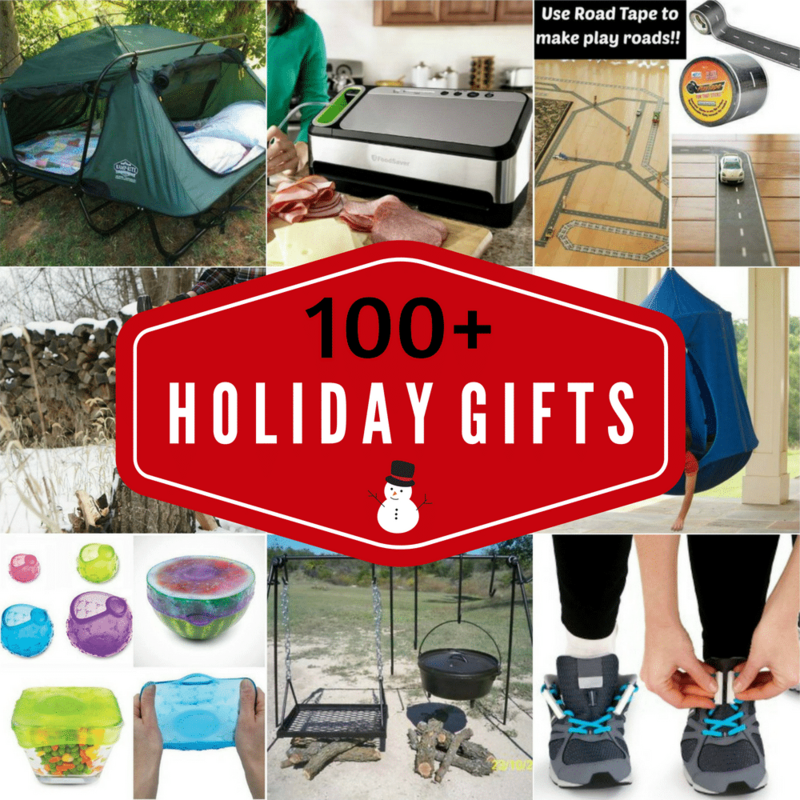 This is another great gift for someone with limited space or who is just starting out. 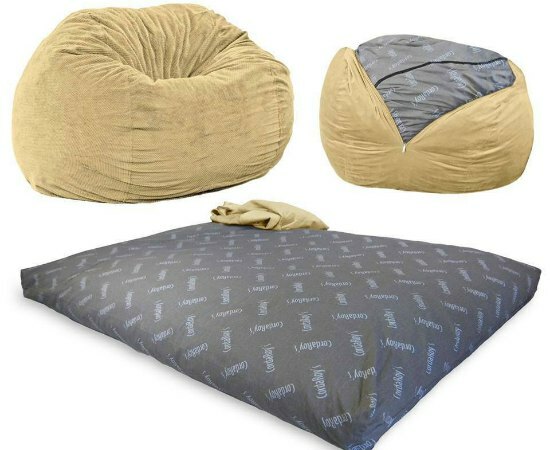 Always have an extra bed with this beanbag chair that’s also a full size sleeper. 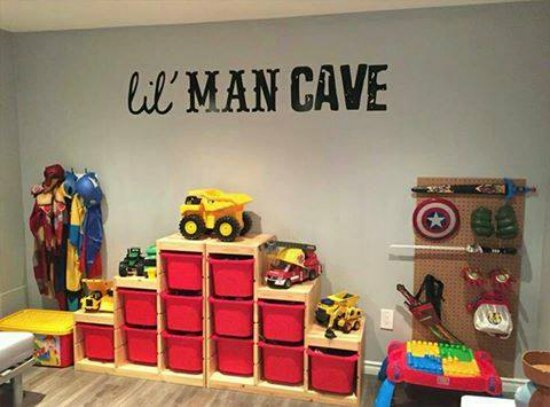 If your little man already has a space he can call his own, mark it with this great lil’ man cave wall decal. If he doesn’t already have his own space, maybe it can be a great Christmas surprise! 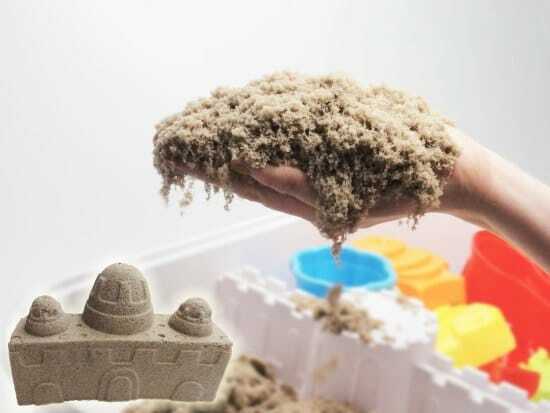 If you have never played with kinetic sand, you should get some just for yourself! It sticks to itself but not to anything else. It’s a little mesmerizing to play with and we have several friends that have a pile of it at their desk at work for a little play time when stress gets high. What a great idea for a gift for someone that spends a lot of time camping, hunting, or fishing. 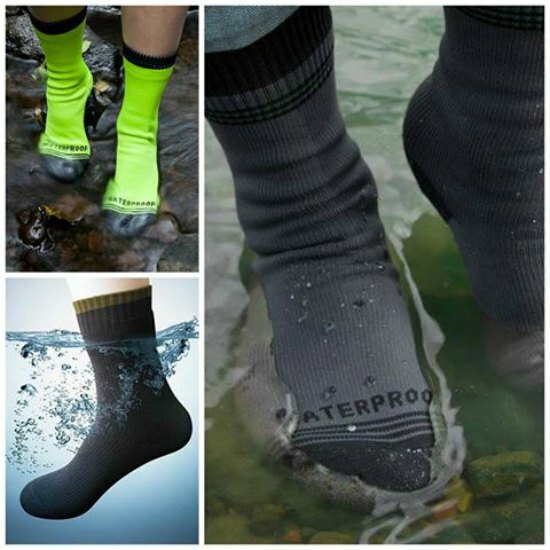 Waterproof socks would also make a great gift for someone that works in a wet environment, or outdoors! I’m thinking of getting a pair for the gent that delivers my mail everyday – rain or shine. Sometimes you just need a photograph to hold in your hand. 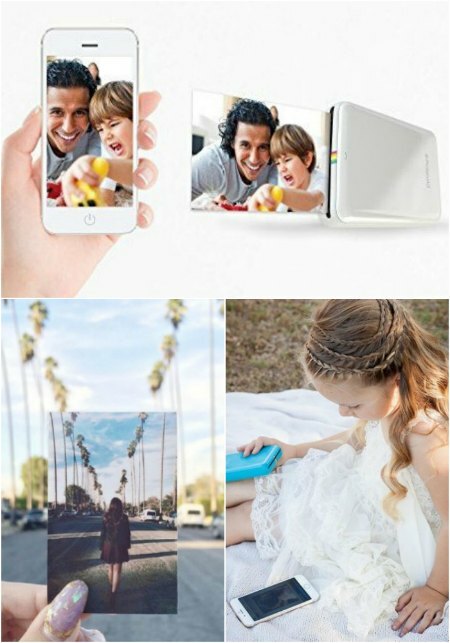 You can easily keep this handheld Polaroid phone printer in a glovebox or purse for those times. 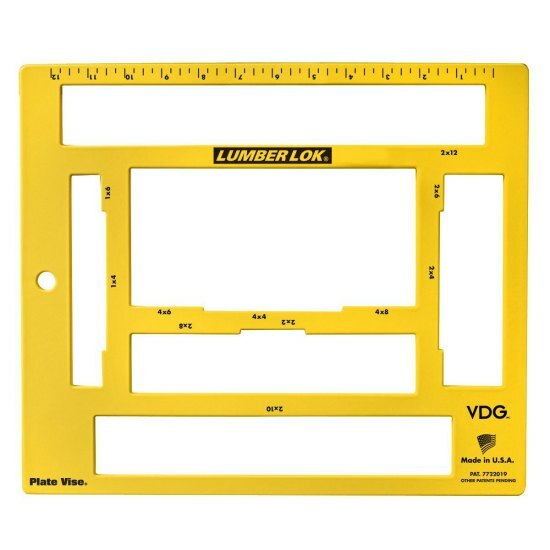 If you also carry around a few pieces of yardstick, you can create instant greeting cards! 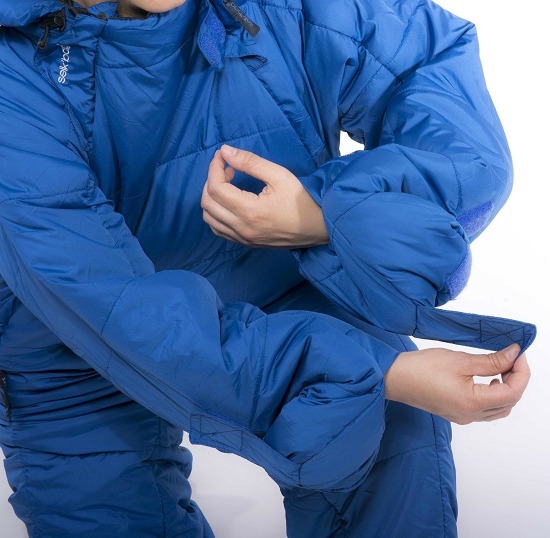 This wearable sleeping bag would be an awesome choice for anyone that spends a lot of time in the cold. 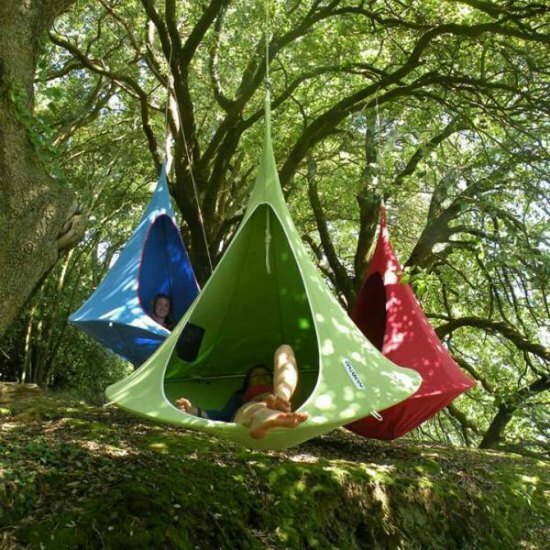 It comes in a variety of colors in case you want something bright for anyone who might get lost in the woods. What a great idea for that someone that doesn’t have the same dexterity in their hands that they used to! These magnetic show enclosures makes it easy to just bend down and “clamp” your shoes shut and they open in a flash too. 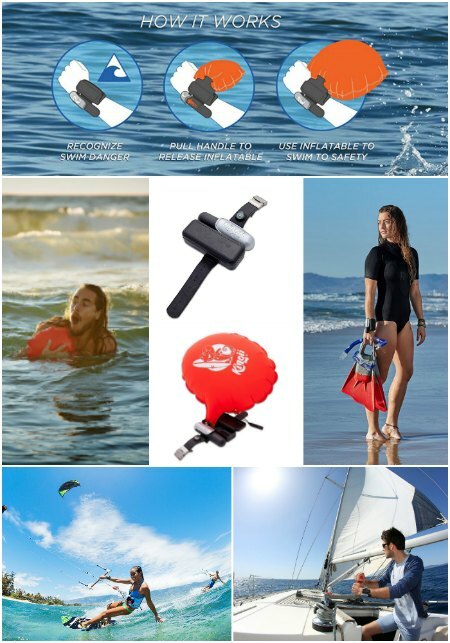 We’ve seen these in action on the lake and they look like awesome fun! 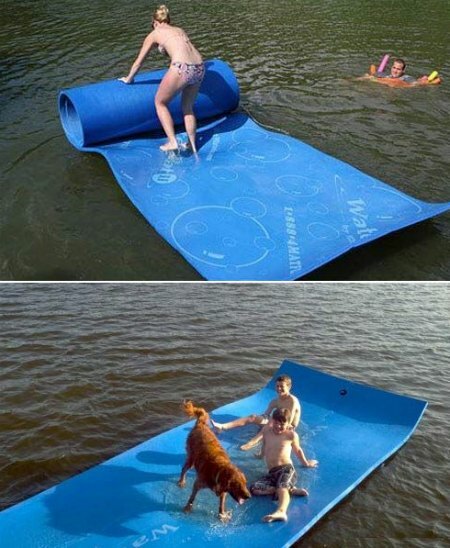 This floating watermat makes an instant platform for people to get up out of the water to rest a bit, and still stay close to the action. 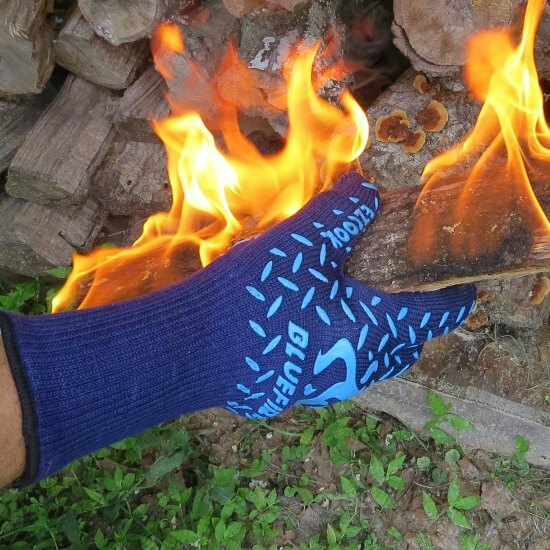 Not sure I’d just walk up to a fire and pick up a burning log, but I guess with these heat resistant gloves I could if I ever got the urge. Would make a great gift for the pyromaniac in your life! 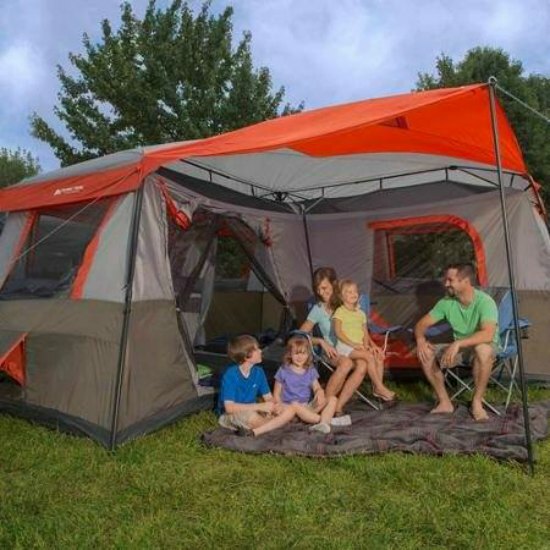 A tent large enough to hold the whole family and actually provide a little privacy for them from each other at the same time. 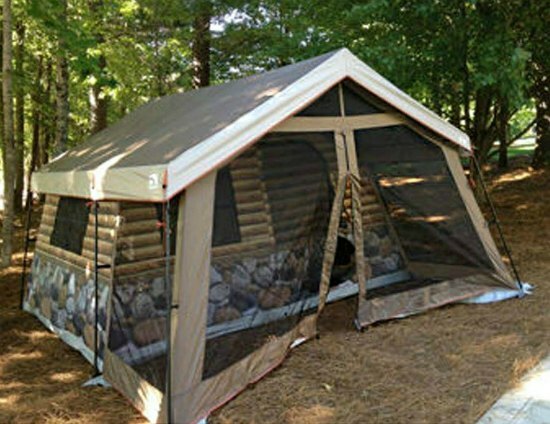 This Ozark Trail tent even comes with a covered porch for those that like to just sit and observe the goings-on. You know that you’ve always wanted a hot tub, but don’t really want to have the thing staring at you all year – just begging for maintenance when you’re not using it. 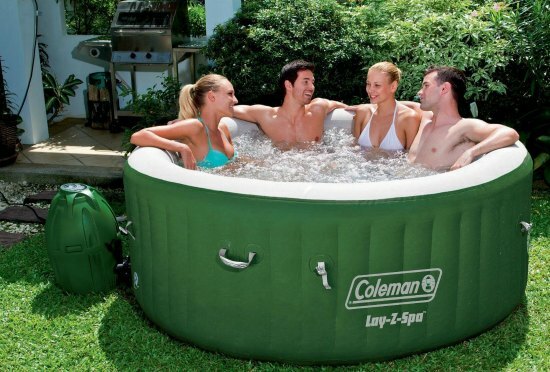 With this inflatable hot tub you can put it up for those few months you’d really use it and store it the rest of the time. You could even take it to a friends house and make their weekend rock! 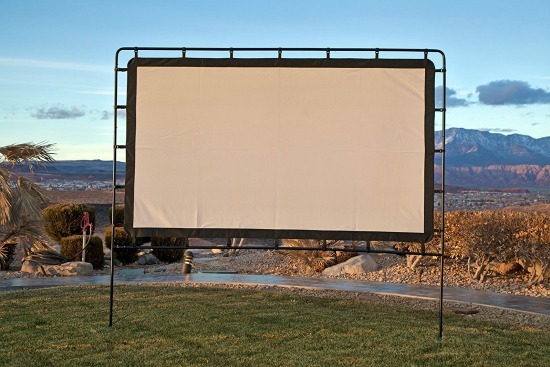 Just when the kids start complaining about how lame it is to have to be with you on a camping trip, you can whip out this portable outdoor movie screen and your high definition projector and make them eat their words. C’mon, totally worth it just for that. This log cabin tent would be so cool at a camping area. It sleeps eight (8) and has a large screened in porch. Yep, just chillin’ in the wild. 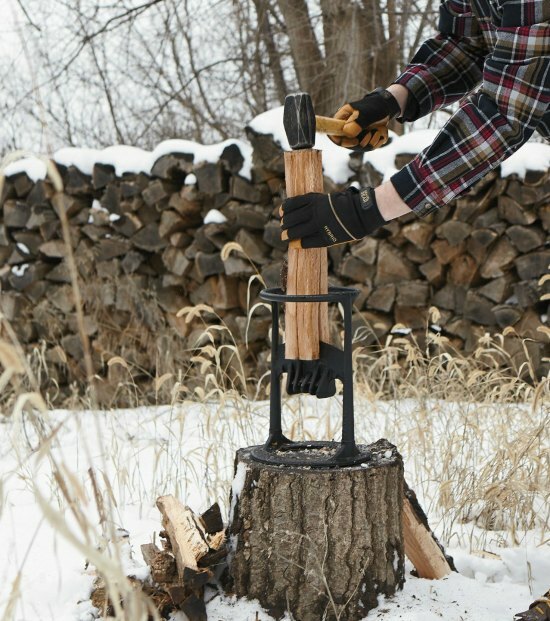 This Kindling Cracker has a ton of reviews stating how great it is and how easy it is to use. Made in Australia from cast iron, it’s truly a quality item to make life a little easier for that special someone who may be outside right now splitting wood for the family. What a great setup for outdoor cooking. 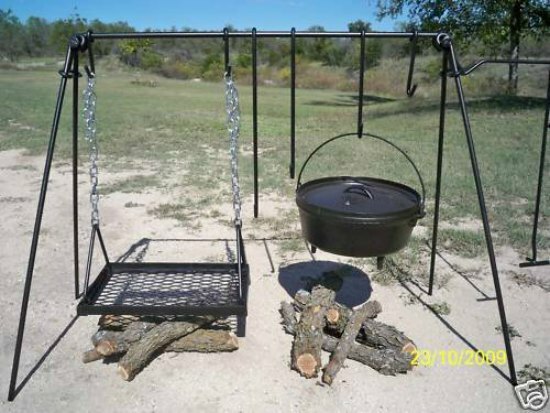 There’s a grill and a place to hang a pot or two. This portable cook set utilizes an A-frame to keep the whole thing firmly in place over the open fire. Space is always limited in a tent, so these camping cots make the most of limited space by stacking the cots on one another. They also can be configured in a couple of other ways, making into a couch with a back. They include a couple of hanging organizers so little things (like the bear spray) don’t get lost while you’re snoozing. Whether camping or just sitting on the patio at night, it’s great to have a little extra light sometimes. 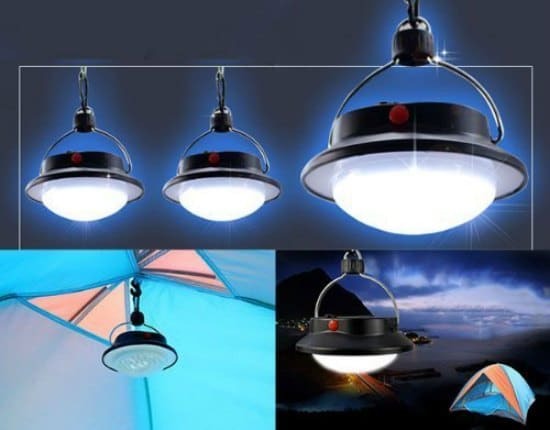 We use an LED umbrella light similar to this one because we play cards on the porch on summer nights. 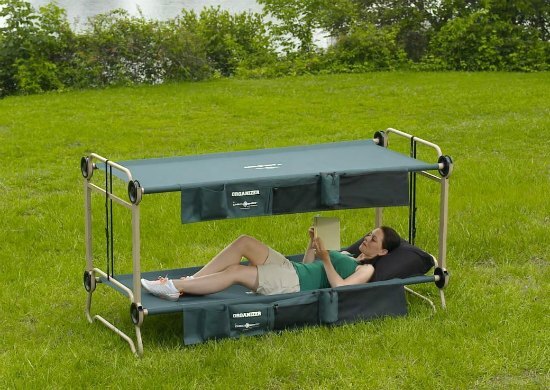 Another great idea for those who want to “rough it” but without so much of the “rough.” A comfy double-wide tent cot that could be used with a tent or as the tent, since there is zippered screening for all the openings on the sides. 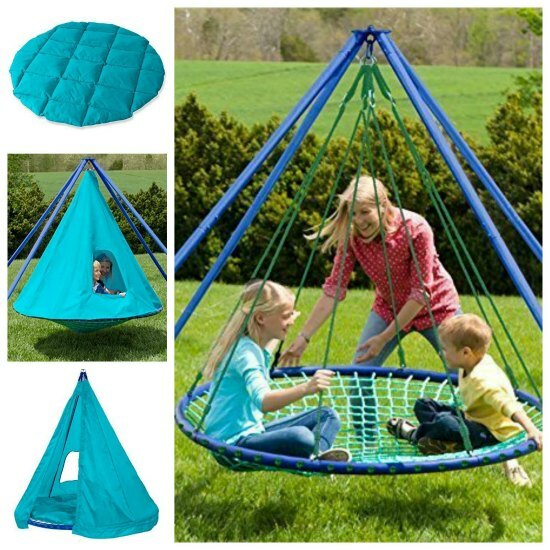 If you know someone that has to move frequently or just doesn’t have the room for a back-year fort, this spinning hanging teepee is a great alternative. Sets up quickly and stores away quickly. 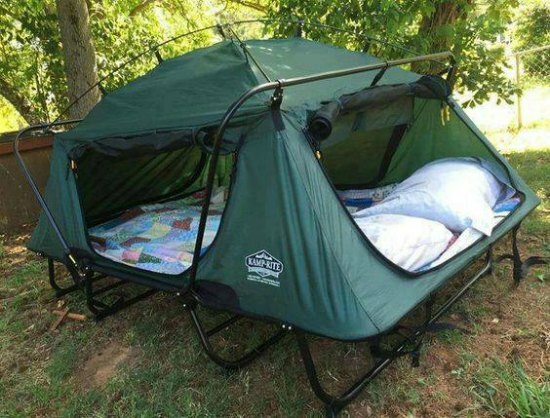 It’s a hammock surrounded by a net so the bugs can’t bug you. 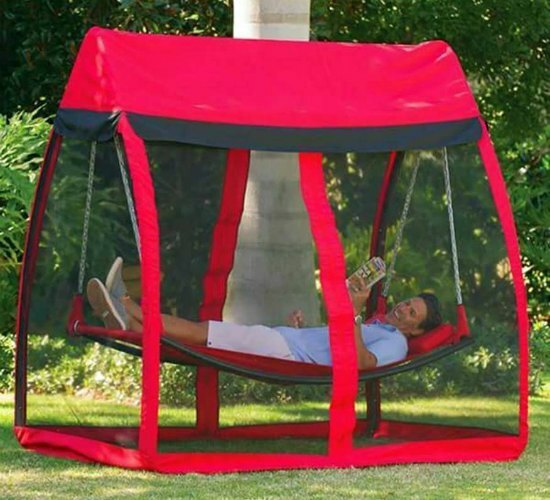 If you don’t want to spend a little quality “me” time in a hammock with mosquito net I worry about your sanity – which means you need one of these immediately.